There’s a new magazine on the horizon. 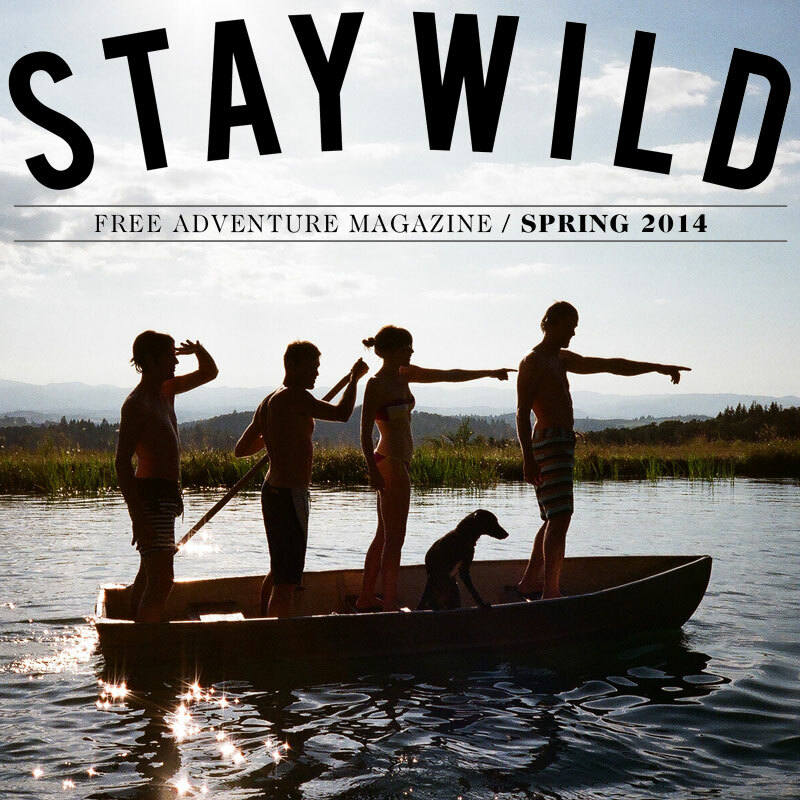 Stay Wild it will be called. It’s going to cover the camping, surfing, skating, motorcycle, art, coffee shops—the whole bit, basically. They’re going to make stuff, clothes, socks, and the like. They’re going to do it with style (and with your help, if you’d like to contribute). And—bonus—the magazine will be free. It’s being launched by Portland art director, Justin “Scrappers” Morrison. If you’d like, you can join me in helping them take flight over at Kickstarter. They’re planning to launch this spring. The Kickstarter campaign runs through the end of March. In case you’re traveling in the Pacific Northwest, I made a ferry map you may find useful. It shows routes for the two major ferry systems: the BC Ferry (blue routes), the Washington State Ferry (green routes), as well as the Victoria Clipper (red routes) and Coho (black route) ferries. All ferries accept cars and motorcycles, except for the Victoria Clipper, a high-speed ferry, which carries passenger only. Seaplanes are another option. They fly pretty much everywhere. Kenmore Air is the biggest operator. NW Seaplanes is close behind. Saltspring Air flies within the Gulf Islands. Note: the BC Ferry travels throughout British Columbia. I’m only showing their Gulf Island routes on this map. Also, if there’s anything on this map that I missed, please let me know. Correction: A previous version of this map showed a Victoria Clipper route from Friday Harbor to Victoria. The route does not exist. 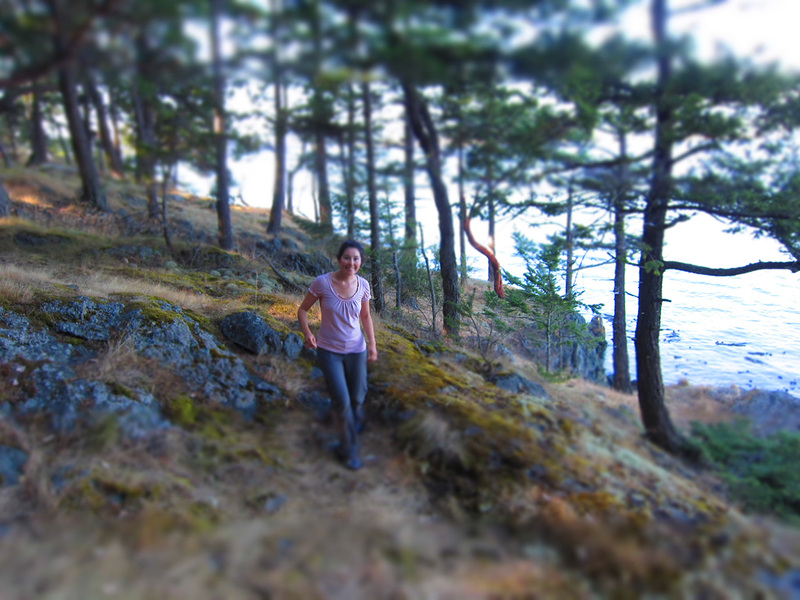 Natalie walking on Turn Island near Friday Harbor. If you’re regular reader of this blog, you may know that WCXC has taken to the water. We’re spending the summer and fall exploring the Pacific Northwest by sea. We’re sailing around the San Juan Islands in Washington State and the Gulf Islands in Canada. I’ve gotten pretty behind in posting about the trip but my girlfriend, Natalie, has been posting about our travels on her lovely blog, The West County Bramble. Hurray for Birthdays! – We took a trip aboard the Virginia V to Bainbridge for Natalie’s birthday. A Beautiful Sound. – We moor our boat in downtown Seattle for the afternoon, go swimming in Lake Union, then head out Bainbridge Island on our own. I’ll post more about our trip but I hope you’ll enjoy Natalie’s post as well.